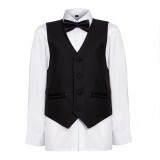 Our limited edition range is a 5 piece stunning quality up to 16 years and is the main picture with a black tie and waistcoat. 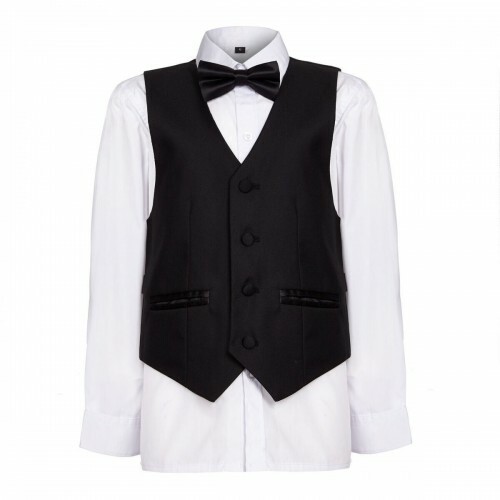 We have just added our fabulous limited edition classic 5 piece black tuxedo with waistcoat up to 16 years at an amazing £26.99, when only the best will do. 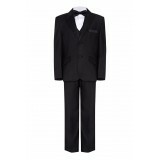 Normal RRP £49.99. 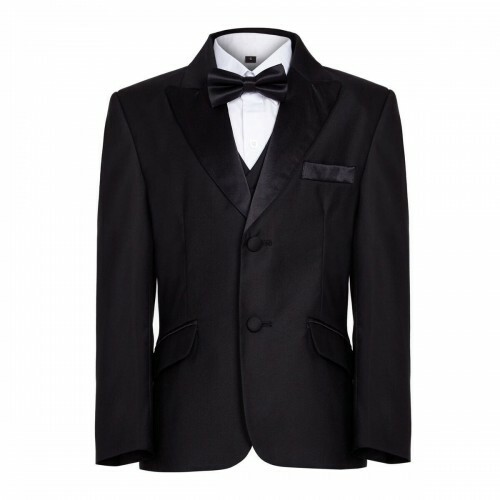 The well-fitted jacket consists of satin lapels and is lined with satin soft fabric for breathable wear. 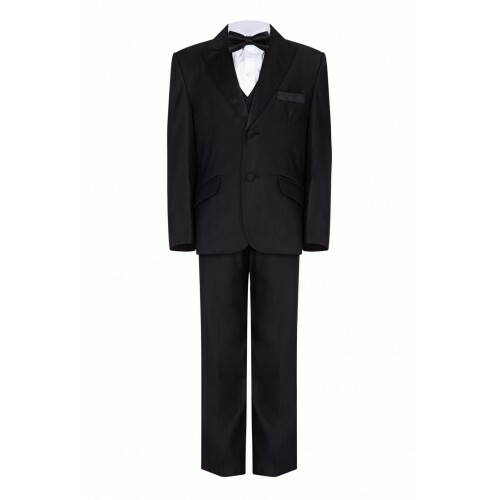 Trousers to match, finished with a white shirt and adjustable simple-to-fasten dickie bow. The name is Bond... you know the rest.